What’s In Our Tap Water? As the “Big Muddy” winds its way through Kansas City, it might be hard to believe that approximately 660,000 residents rely on the Missouri River for their drinking water — after it has been treated, of course. But, did you know that the treatment process itself can introduce potentially hazardous contaminants to the water? That’s something curiousKC discovered as it researched this question: From a proper scientific and medical perspective, what is in our tap water and is it appropriate for the human body of adults and children? The questioner did not provide a name, and attempts to reach them by email were unsuccessful, but the inquiry left us thirsting for an answer, so we pursued it anyway. And, as it turns out, in July, the Environmental Working Group, released a database that tracks the contaminants in tap water. The database is searchable by ZIP code or utility name. Turning Missouri River water into tap water can take four days. First, the clay and visible particles are removed, and then the water is disinfected using chlorine. This treatment process creates five of the six contaminants detected above health guidelines at KC Water. Hexavalent chromium, commonly called chromium-6, was also detected above health guidelines, but there is currently no federal limit for the contaminant. Chromium-6 naturally occurs in the Missouri River. For contaminants like chromium-6 that are not regulated by the federal Safe Water Drinking Act, Greene said risk assessment can take a while to catch up. These contaminants are detected on very small levels, and Greene said the database should not alarm consumers. The following contaminants were detected in some of the Kansas City area water utilities. These contaminants, listed here with definitions from the Environmental Working Group, were found in levels higher than those suggested by health guidelines, but under all legal limits. 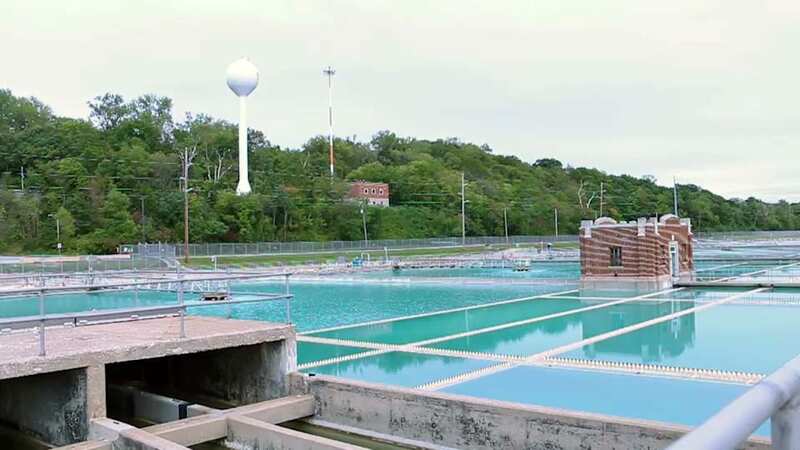 While it’s up to KC Water to turn river water into tap water, consumers can help by minimizing their impact on the environment and the waterways. — Lauren Langdon reported this as a student in a multimedia reporting class at The University of Missouri. Chromium (hexavalent): a “cancer-causing chemical”, can enter tap water through industrial or natural sources, “no legal limit set” ???? ?